The Darlington Schoolhouse was built in 1891 as a gift to the Mahwah community by Alfred B. Darling and Theodore Havemeyer, who owned farm estates on Ramapo Valley Road. Designed by architect Dudley Newton, this building is listed in the New Jersey (2007) and National (2008) Registers of Historic Places. Local children attended classes in the building until the 1940s, and it later housed a dance school and carpentry shop. The schoolhouse sat empty for nearly 40 years before the Trail Conference and the Township of Mahwah jointly purchased the building in 2007. With meticulous attention to detail, Darlington Schoolhouse was restored in two phases: Phase 1, completed in 2012, included structural stabilization, exterior renovation, climate control, and utilities, while Phase 2 involved the interior renovation of the original 4,400-square-foot schoolhouse and construction of a 3,700-square-foot, two-story addition. 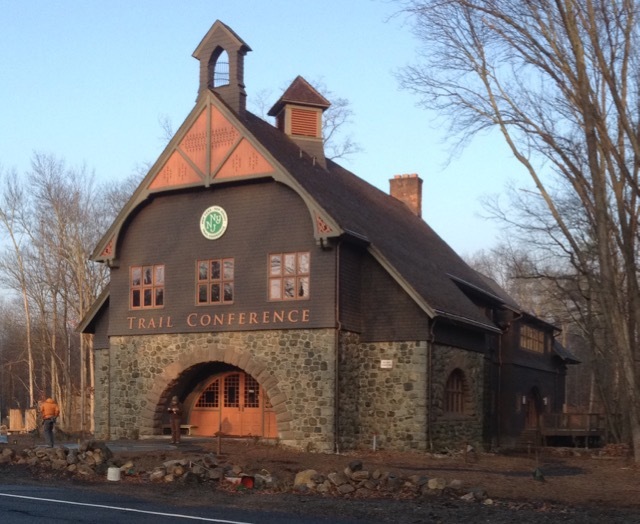 On March 25, 2015, the Trail Conference officially opened its doors at 600 Ramapo Valley Road to the public. Visitors are encouraged to stop by to purchase maps, books, and memberships, sign up for volunteer opportunities and workshops, and learn more about the organization. Funding was provided in part by the Garden State Historic Preservation Trust administered by the New Jersey Historic Trust/State of New Jersey, and the Bergen County Historic Preservation Trust Fund, a part of the Bergen County Open Space, Recreation, Floodplain Protection, Farmland & Historic Preservation Trust Fund Program. Additional support came from public and private grants, Trail Conference members, and the community.